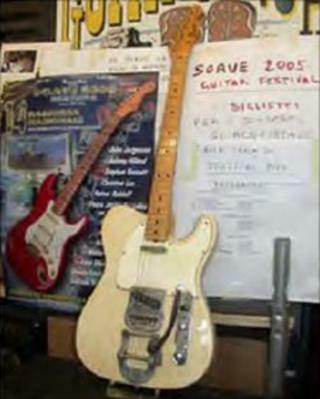 Sixty-one rare and vintage guitars worth up to £50,000 each are being searched for by West Yorkshire Police after they were stolen. A total of 157 guitars worth more than £1m were stolen five years ago, 96 have since been recovered. Police have released images of the 61 missing guitars and their serial numbers. Det Con Chris Lord from West Yorkshire Police said: "Anyone found with one of these guitars in their possession could be charged with handling stolen goods. "I would encourage anyone who suspects they have one of these guitars to check the serial numbers as soon as possible."